CANBERRA, Australia â June 12, 2013 â Northrop Grumman Corporation (NYSE:NOC) has announced the appointment of Ian Irving as chief executive for Australia, effective July 15. In this new position, he will play a leading role in supporting the company's current programmes, developing strategies for growth and identifying new business opportunities for the company's activities in Australia and the Asia Pacific region. Irving has more than 25 years' experience at senior executive levels within the Australian defence and aerospace industry, and joins Northrop Grumman from ALTILUS, a management and professional services consultancy that he established in 2010 serving the government and the defence sector, and where he was managing director. 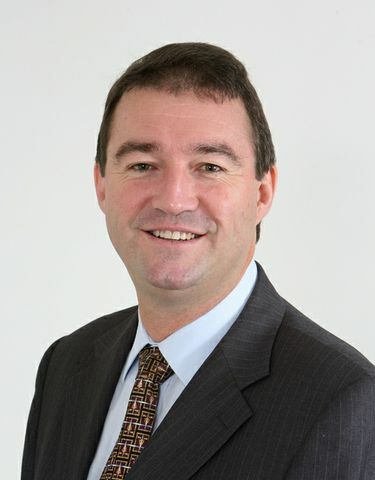 Prior to that he was vice president, Land Systems, and deputy chief executive officer at Thales Australia, where he held various leadership positions over a period of 12 years. This was preceded by 11 years with Rockwell and Boeing Australia. "Ian brings deep industry knowledge and a strong understanding of our customer community in Australia, making him well suited to leading Northrop Grumman's activities in this strategically important market," said David Perry, corporate vice president and chief global business development officer, Northrop Grumman. "His appointment will enable us to build our in-country presence and position the company for future success in Australia and the Asia Pacific region as we continue to broaden our market focus to one that is increasingly global." Irving has held senior technical and management positions within industry across a number of defence programmes in Australia. This has included responsibility for the delivery of major defence systems, the conduct of leading edge research and development, and the establishment of industrial capabilities delivering key defence exports. He earned a bachelor's degree in electrical engineering from the University of Sydney and completed his graduate industrial training with the Royal Australian Navy. He holds a number of professional memberships with organisations including the Australian Institute of Project Management, the Submarine Institute of Australia, and the Sydney Aerospace & Defence Interest Group. Northrop Grumman has a well-established presence and customer base in Australia, where it has been supporting a variety of both defence and civil programmes for many years. It is a supplier in the defence, security, information systems and public safety communications markets providing a range of capabilities and technologies, including serving as a key subcontractor for the Wedgetail airborne early warning and control, F-35 Lightning II and FA/18 Super Hornet programmes. In 2012, Northrop Grumman acquired M5 Network Security, a Canberra-based provider of cybersecurity and secure mobile communications to Australian military and intelligence organisations.